August 30, 2015- Cricket, the crazy game of the world has now passed the one golden era. 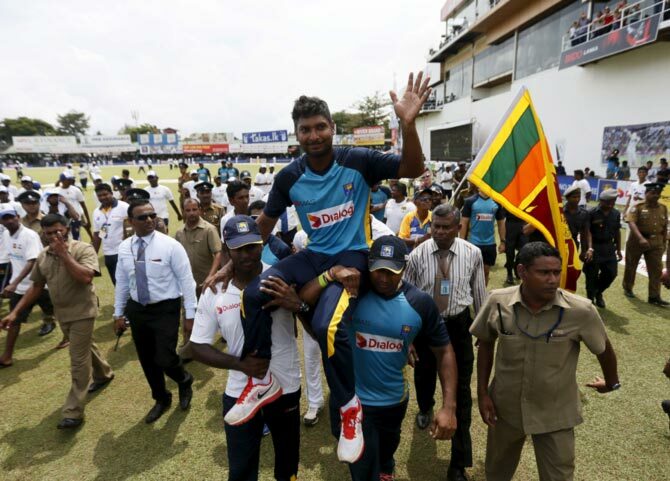 With the retirement of veteran cricketer, synonyms of the cricket, Kumar Sangakkara, it has entered into the new age. Of the thousands of cricketers Sanga always remained in the top. The person who made me to watch the cricket in my childhood, who impressed the world with bat, has now leaved the field from all the cricket format of cricket. 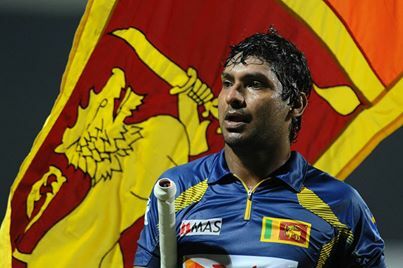 Kumar Chokshanada Sangakara, nicked name Sanga, was born on 27 October 1977 in Sri-Lanka. The left handed top order batsman, made his test debut in the national team of Sri-Lanka on 20 July 2000 against South Africa, and started the international career on ODI from 5th July 2000 against Pakistan. The wicket keeper batsman took the captaincy on 2009. As a batsman as well as the wicketkeeper, he has been able to leave the momentum in the cricket. Talking about the test cricket, he has made 12,400 runs in 134 maatches at the average of 57.40. He ended his test career on August 2015, second test against India, with one triple century (319) against Bangladesh in 2014, 11 double centuries one behind Don Bradman, 38 centuries (4th in the list) and 52 half centuries. Moreover, he has made 197 dismissals in the 131 matches. In case of One Day International, he has offed with the 14,234 runs in 404 matches at the average of 41.98, second in the list. He is the first Sri-Lankan to pass the 14,000 runs. He announced his retirement from his ODI career from the world cup 2015. He made 25 centuries, 93 half centuries and most dismissals of 501 in his 15 years of cricket life. Sanga is the first batsman to score the four consecutive centuries in the world cup, i.e., his last world cup 2015, 105 against Bangladesh, 117 against England, 104 against Australia and 124 against Scotland.